I was recently teaching one of my Japanese ESL students about Fall/Autumn／あき. We learned words such as “cornucopia”, “raking leaves”, and “jack-o-lantern.” I asked him what words come to mind when he thinks of Fall. He replied, “Mushrooms“. Mushrooms?!? I was seriously confused. After some research, it turns out that mushrooms （きのこ）are in fact a big part of autumn in Japan, along with chestnuts　（くり）, satsumaimo　（さつまいも）, grapes　（ぶどう）, and persimmons　（かき）. It is so interesting to me how different cultures view the seasons so differently. In America, Fall means Halloween, Thanksgiving, Pumpkin Pie, wearing layers, back-to-school, and soup (well, at least to me). 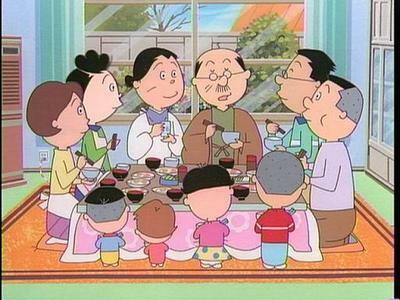 In Japan, Fall/Aki often means taking a special trip to observe the beautiful colored leaves（こうよう）, undoukai　（うんどうかい）, honoring grandparents, fall food (mentioned above), red dragonflies　（あかとんぼ）, typhoons　（たいふう）, and moon-viewing　（つきみ）. Am I missing anything else? What is your favorite thing about Fall where you live? What are your favorite Japanese Fall foods? 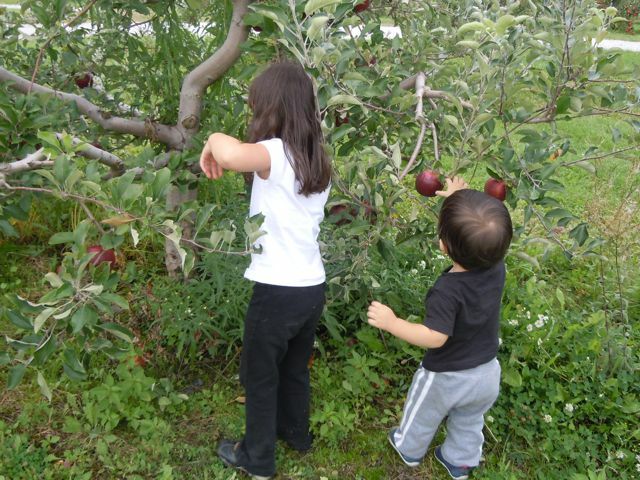 Click HERE for Fall activities and recipes from Kids.Nifty. About 1 part heavy cream or milk (heavy cream for a creamier texture, milk for a crunchier texture. I like to use a 50/50 mix). 2. Pour or spoon into ice cube trays. 3. When frozen (about a few hours), pop them out into a dish, and enjoy! My kids love it! You can buy azuki paste at most Asian grocery stores. If not, they are available online as well. Azuki paste/Red Bean Paste HERE. If you don’t like my recipe, HERE is another one you can try, by Closet Cooking. 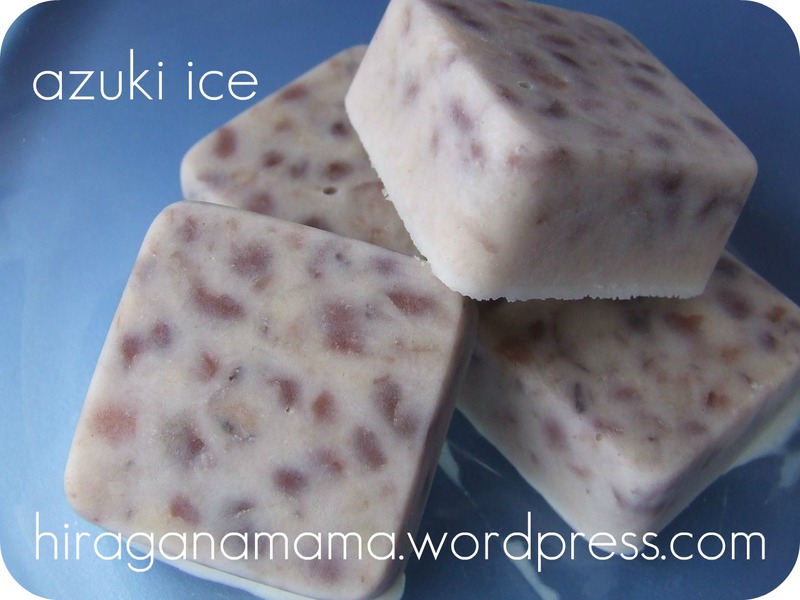 Type in “アズキアイス” at images.google.com to see what azuki ice looks like in Japan 🙂 It will make you want to buy a plane ticket. What a perfect time to teach the word “rain/ame”! It has been raining a lot recently around here. Here are some “rain” coloring pages from ぬりえやさん: Click here. Are you all familiar with Sasae-san（サザエさん）? I remember watching it as a child. Here is a Sasae-san episode about rain. “Head Shoulders Knees and Toes” done Japanese-style! I love that they end the song with “I love you”! Another version can be found here. Another YouTube video teaching various body parts, by Japanesepod101.com here. Need a quick refresher on the names of body parts in Japanese? Go here. Other sites worth checking out here, here, and here. Today I will be teaching my daughter “あひる(duck)” and　”あり(ant)”. Since she is only 2, we are going to keep it simple with some coloring pages and videos. 1) Duck coloring pages here and here. 3) Ant coloring page here. 今週は“あ”を覚えよう！Let’s learn the kana あ this coming week! I will be printing this hiragana PDF from Yahoo Kids in preparation for the week! Check back next week for related activities!